This is one of several sculptures my bride, Sarah, has posed for over the years. I tried to capture her strength, serenity, and loving kindness. 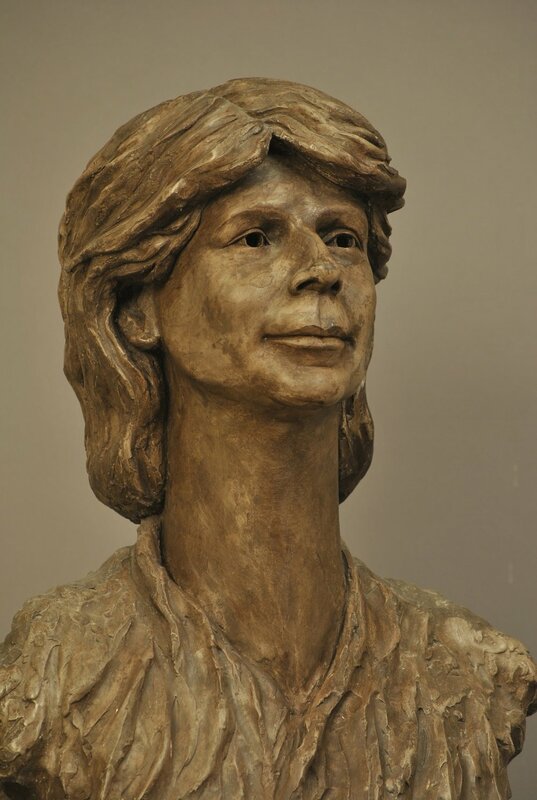 The long neck lends an aspect of the grace that elevates her (taking me along) above life's daily travails, which I represented with the roughly textured torso—a countenance of calm over a troubled world. Cast stone for bronze. 28 x 14 x 9 inches.